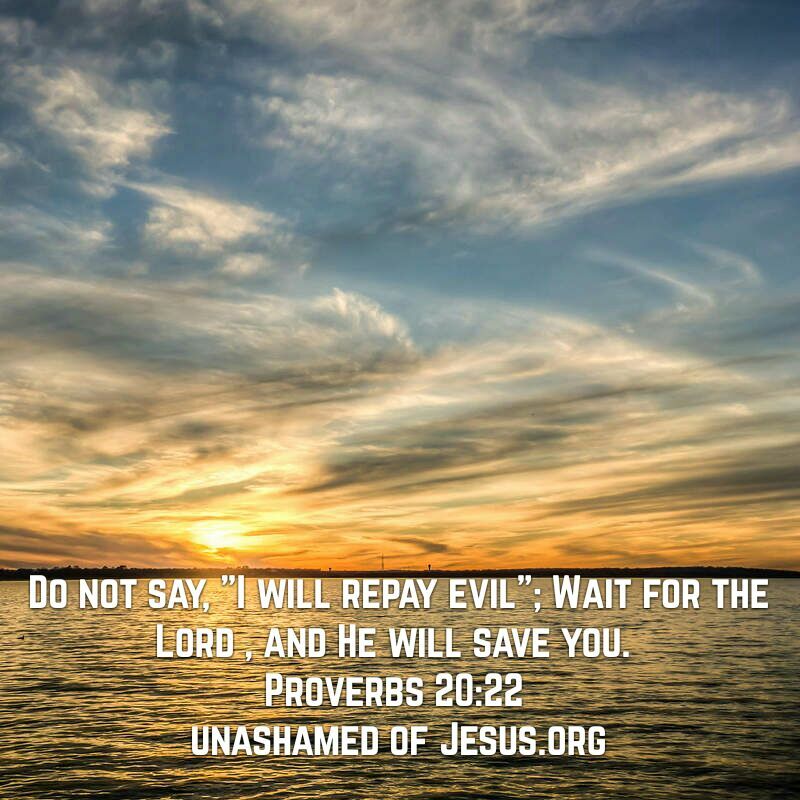 Do not say, “I will repay evil”; Wait for the Lord , and He will save you. This entry was posted in Jesus on September 4, 2017 by Unashamed of Jesus. Amen! He is Mighty to save & Mighty for the cause of justice.